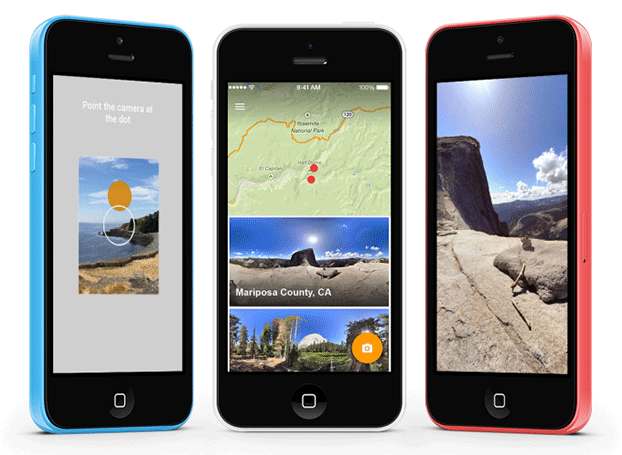 Google have announced that their excellent Photo Sphere mobile application is now available on iOS. Google Photo Sphere has long been a favourite with Android users, offering users the ability to capture 360° images with ease. There are of course already other apps on iOS that already allow you to do this, but Google Photo Sphere has one major advantage; you can easily share your stitched images to Google Maps. You can choose to share to a select number of friends, or upload to Google Maps and let the whole world see your images. On iOS the app is called Photo Sphere Camera, and is available for download now. You will need an iPhone 4 (or later) in order to use this app.